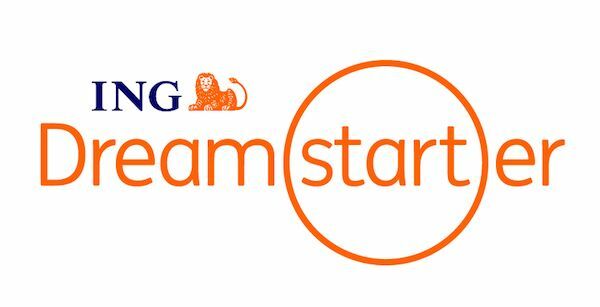 Dreamstarter is a community initiative that helps projects for social good get off the ground. We're a unique Australian head wear label that values giving back and sees the power of collective good. We’re aiming to develop our next range of hats made from up-cycled waste materials to lower our impact on the planet and help promote slow fashion. Natural resources are being consumed at an alarming rate due to the extreme growth of fast fashion. Damaging our environment and depleting what is finite just isn’t sustainable. We want to reverse this trend of consumption by contributing where we can to improve our environment. Because we’re not in a rush. We aim to be here for while. We see value in long lasting high quality objects. Objects that retain meaning in our lives all while being made with the lightest possible footprint. The funds from this campaign will go directly towards research and development then implementing the new range made from up cycled waste materials. 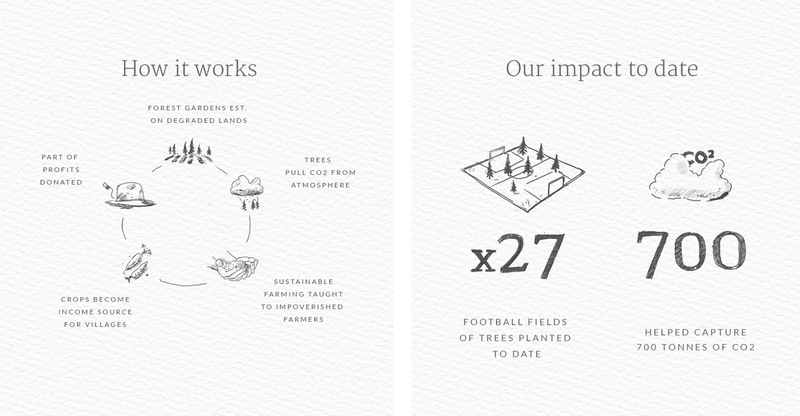 We’ll be integrating more sustainable practices within our business model. 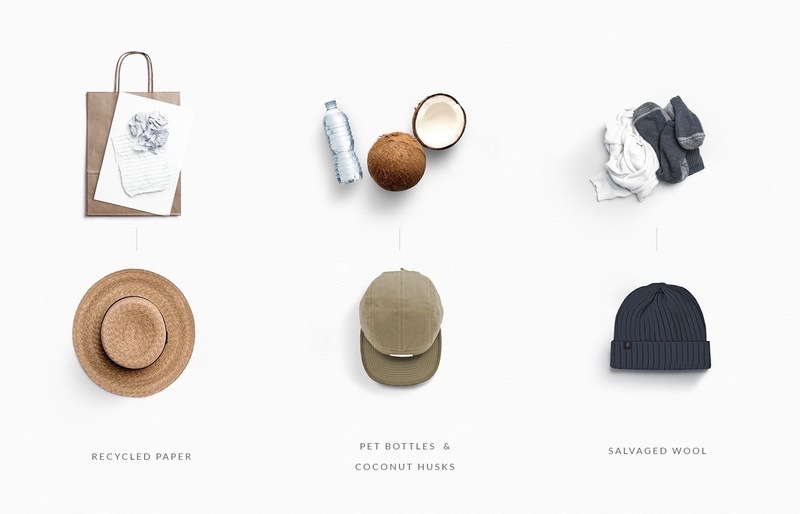 Turning up-cycled waste materials into brand new products. This new range of hats leaves the lightest footprint possible by reducing our reliance on new fibers. Here are a few idea’s we’re working on. Turning the Sunday paper into your favourite beach hat. Paper is one of the most abundant waste products in the world. Each year, the world produces more than 270 million tonnes of paper. Wool is taken from old garments - mostly sweaters but also hats. 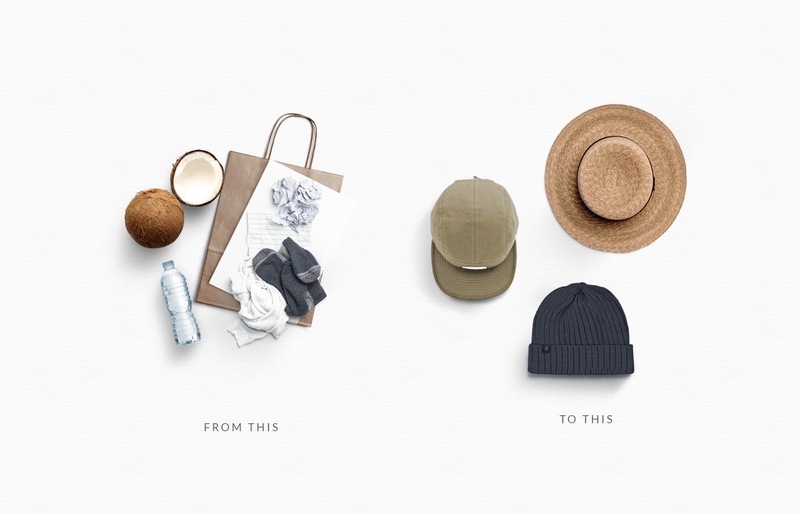 It’s broken down and respun into new yarn that becomes brand new beanies and accessories. Will & Bear was born on the road. We had a goal to create a brand that inspired a life lived outdoors and a deeper connection to our environment. Through our partnership with trees.org 10 tens are planted for every hat sold. By purchasing a Will & Bear hat you’re helping reduce deforestation as well as lifting communities out of poverty. We’ve created a limited edition range for your next journey. By purchasing any of these products or joining our crowdfunding campaign you’re helping us keep our commitment to the environment. Help us by sharing the journey! Leveraging our existing network of suppliers and partners we will work towards launching our new 'Keep it Slow' range as well as continuing our Plant A Forest Project, planting 10 trees for every hat sold. Finalise research and development and implement our new material design. Factory visits and supplier standards verification to develop a supply chain that reflects high and verifiable standards. Launch our first product in our 'Keep it Slow' range late 2018. We aim to inspire more change within our industry and want to bring you along for the journey. By documenting our factory visits and stories from behind the process to create a launch campaign for the new range. We want tell the stories of the humans behind the products and inspire individuals and brands to do the same. We will produce a short video and marketing collateral to to be released along side the new range. One tree will be planted thanks to your donation! You’ll receive a digital certificate to confirm your tree planting. 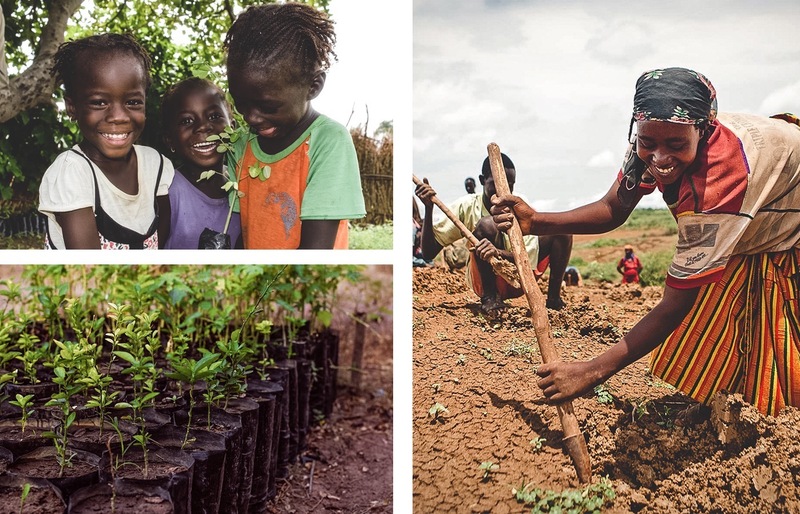 10 trees will be planted thanks to your donation! And you will receive a digital certificate to confirm your tree planting. Get your hands on our limited edition organic cotton tote bag! Est. delivery early 2018. Includes free Australian shipping + $15 international (to be collected at a later date prior to sending reward). Get a set of reusable Will & Bear ceramic mugs (x2) for your next adventure! Est. delivery early 2018. Includes Australian shipping + $15 international (to be collected at a later date prior to sending reward). Be one of the first to wear us not just on your head! Get our first limited edition Keep it Slow T-shirt. $125 online voucher for $100! Get early bird price on our limited edition Will & Bear Keep it Slow t-shirt, 1 set of mugs, 1 tote bag + thanks to your donation 20 trees will be planted! Est. delivery early 2018. T-shirt size to be confirmed via email after campaign completed. Get our limited edition Will & Bear Keep it Slow vintage t-shirt, 1 set of mugs, 1 tote bag + 20 trees will be planted thanks to your donation. Supporting Will & Bear from head to toe! 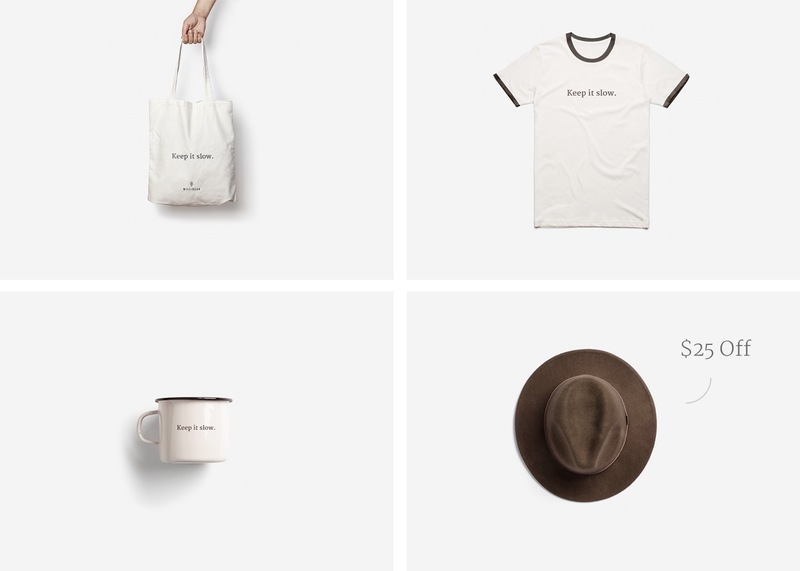 Get a $125 online voucher to be spent on any product, our limited edition Will & Bear vintage T-shirt, mug set & tote bag & a shoutout on our Instagram story + 30 trees will be planted thanks to your donation! T-shirt size and shoutout info to be confirmed via email after campaign completed. Est. delivery December 2017 for voucher & early 2018 for other goodies. Want a professional photoshoot?! Let us do it for you or come do it with us! In need of some content? Or want to do a fun photoshoot with you and your friends? Get your friends to pitch in and all come meet us in the Byron Bay region. Or if your a brand send us your product and will be do a professional lifestyle shoot. 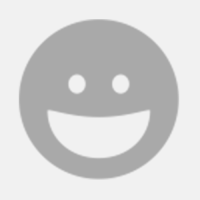 You’ll get 10 high res photos for you to use for anything! Shoot details to be confirmed once campaign is complete (we’ll work with you to make it happen). Be the best boss and score your employees 10 Mug sets, 10 tote bags and 100 trees will be planted thanks to your donation! Plus 10% discount code for your staff members online! Spend a weekend on the road with the Will & Bear team. 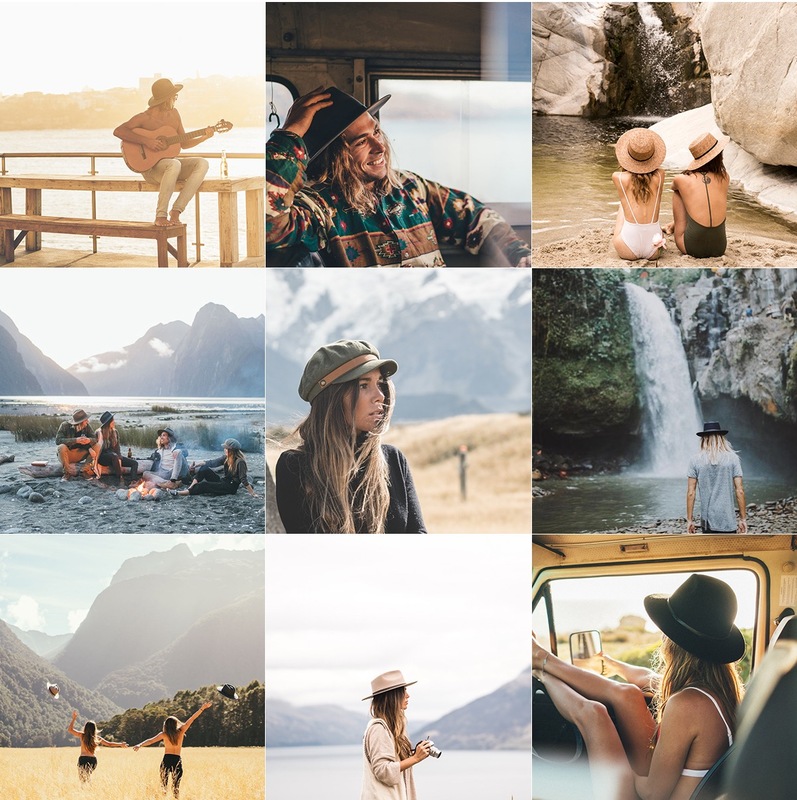 Includes 3 day long weekend road trip, camping, surfing, sustainable business chats and a photoshoot with 20 high res images. Location: Byron Bay region. Weekend to be confirmed with you once the campaign is complete, don’t worry well work with you to make it happen. Join us on our next campaign adventure! Join us on a 6 day road trip from Byron Bay down the NSW coast to Crescent Heads! Come along for the campaign adventure shoots with our ambassador and world renowned adventure photography Stefan Haworth. We’ll all attend the Vanlife gathering as part of the Will & Bear team and have a sit down with the founders of Vanlife Diaries! All accommodation, food and adventures included along with $500 towards your flights. Dates 15th Dec- 20th Dec.